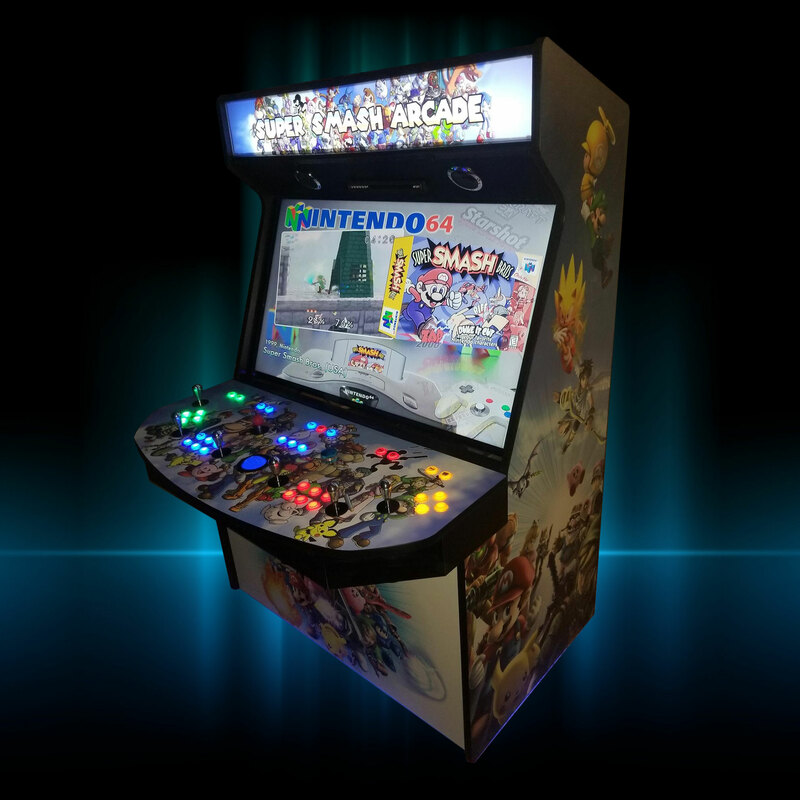 A one of a kind hybrid game that combines pinball and arcade games in one machine! Using a 32″ TV mounted vertically and a 19″ horizontal monitor above it, you can play 429 virtual pinball tables! 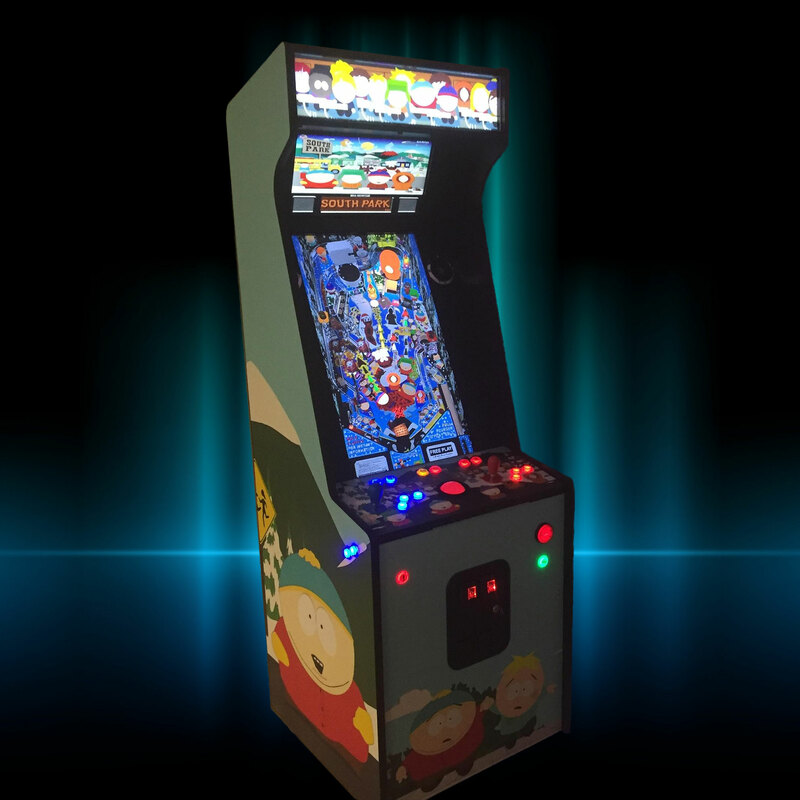 The 32″ TV is the playfield while the top mounted 19″ monitor displays the backglass and scoring! 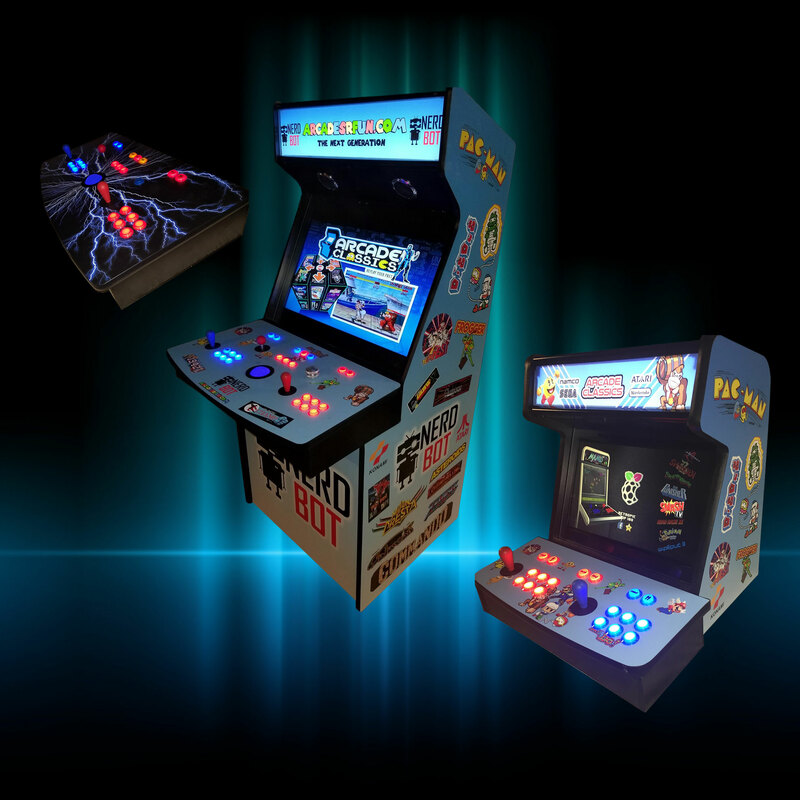 You can also play 740 classic vertical arcade games! Note that this is all known vertically oriented arcade games. Horizontal games can’t be added to this game. As you scroll through the game list, the scanned game marquee image is displayed on the top 19″ monitor!